Viral video shows forklift operator causing entire warehouse of goods to fall like dominoes when he bumps into shelving unit. Online shopping in the modern era has created the need for huge warehouses that can quickly deliver goods to buyers. A viral video that has been circulating over the past few days reveals the fragility of the giant warehouses. 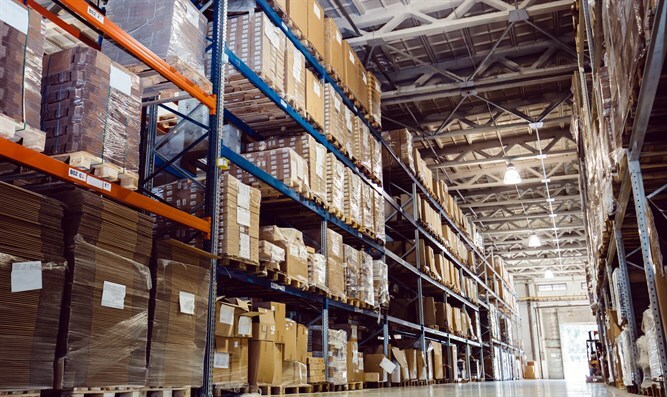 The video, recorded on the security cameras a year ago but only recently distributed on the Internet, shows how a small bump to a shelf can lead to the collapse of the entire warehouse. In the video, the forklift driver moves along the giant shelves and in one moment of inattention lightly hits the shelf on his right. A moment later, a huge collapse of all the shelves of the same column begins, burying him under all the crates. However, the domino effect does not stop and in less than a minute the entire warehouse collapses in what appears to be the end of the forklift driver's employment in the warehouse. Since the video took place about a year ago, there is no information about the location of the storeroom and the fate of the wretched driver, and apparently no warehouse has jumped to admit that it is the subject of the video. It is clear from the video that the warehouse worker is the cause of the collapse, but it seems to us that even those planning a warehouse that can collapse after such a light blow should share part of the blame.